About the previous post, which -as expected- elicited many well and ill-intentioned comments, I noticed one in particular, a reader commenting about what used to be our digital magazine Consenso, which the commentator himself referred to as having opened a Cuban window on the world. I happen to agree with him and, as part of the management group and the editorial board of that magazine, I thank him for the memories and the praise. But the truth is that his comment inspired me to search through those articles that were published at the time in Consenso, among which I found one from my friend and colleague Reinaldo Escobar relating to the subject of the debate: money. Because, though some were biased in reading my post and tried to twist the meaning of what I said, attributing it to my personally attacking those “who did not like14ymedio.com”, when read correctly, it shows that what I attack is the vice of envy, questioning other’s finances, exactly the same matter that Reinaldo Escobar discussed in Consenso in 2007. Contrary to my habit of not posting here articles I have not authored, I reproduce it today, with the previous authorization of the writer. You be the judge about its worth, and I hope you enjoy it. It seems almost superfluous to explain that any political activity generates costs, from the essential existence of a professional staff, dedicated to party work on a full time basis, to the development and dissemination of documents, including trips involving transportation, food and lodging outside the cities where they reside; organizing seminars, meetings or press conferences, or simply connecting to the Internet. Can you think how it would be possible to carry out politics without these things? There isn’t the slightest possibility for an entity in the nascent Cuban civil society to establish anything like a lucrative business to cover the costs of political work. There are no cafeterias, rental rooms, bicycle repair shops or birthday clown entertainers willing or able to meet those expenses. Not even one of the leaders of the internal opposition has his own resources, family assets from before the revolution, or has jewelry to sell or an inheritance to enjoy; most of them do not receive a salary, they are unemployed. However they engage in politics in a professional manner, they secure their own transportation and stays away from home, they undertake conferences, print documents, receive and send emails. Where does the money come from? The Cuban government’s answer to this question is that the money comes from the US, be it Florida exiles, independent foundations, or the American government itself, which, if there ever was any doubt, has just approved an $80 million budget to this effect. It is known that some EU or Latin American countries also contribute, but it is clear that, according to the official interpretation of the facts, this last source of funds is, when all is said and done, from the US, by way of an extensive and tangled pathway. Perhaps the most interesting question is not where the money comes from, but under what conditions it is received. José Martí raised funds for Cuban independence from selfless Tampa cigars manufacturers, but also from wealthy American, Mexican and Cuban philanthropists. There used to be a picture at the Museum of the Revolution, long ago removed, where Fidel Castro was seen sitting at a table in front of a mountain (a small mountain) of dollars. The photo was taken in New York, while raising funds to buy the yacht Granma, plus weapons for the 82 revolutionaries. Were these donations subject to any conditions? Of course they were! The funds were donated, in the first case, to end the humiliating Spanish colony and in the second, on condition to overthrow Batista’s dictatorship. There is no evidence, not even hallway gossip, giving the impression that the money was used for the personal benefit of the apostle [as Cubans call Jose Marti], who always wore the same threadbare black suit, or on luxuries of the foremost leader, who, it is rumored, did not cross his legs in public so none could see the holes on the soles of his shoes. The triumphant Cuban revolution received lots of aid from the Soviet Union and other socialist countries, and I am speaking just of what is euphemistically called “fair trade between poor and developed countries”. I’m talking about ships full of weapons and other war supplies, about college scholarships, technology transfer, collaboration of police intelligence, even of space travel, which would have never happened if Cuba had not complied with the condition of becoming the first socialist country in the Western Hemisphere. It is a historical fact that when Che Guevara traveled to China, a joint communique was issued on completion of his trip, as is the custom, in which the Chinese, bragging with sincerity, objected to the qualification of “disinterested” made by the Cubans about the support the Asian giant was giving the small island. In those early years, parallel to the subsidy of the revolution, the financing of the counterrevolution began. It is well documented that at least between 1959 and 1965 almost all the opposition activities were directly funded by the CIA, the Pentagon, and the US State Department. The central characters themselves have stated so, and all of them justified this financing, so obviously stipulated by the fact that the government of Fidel Castro was supported by Communist powers. Today, Cuban dissidents are imprisoned when it is shown, or when there is a conviction, that they have received money from the US. That was, in every case, the heaviest accusations resulting in disproportionate sentences to which the 75 of the Black Spring of 2003 were subjected. This went as far as to include in the same boat journalists receiving payment in exchange for articles in foreign newspapers. It led, among other consequences, to new divisions among the internal opposition: those not receiving money and receiving it through the U.S. Interests Section, and those who did not receive funds from the US, but from independent institutions in Europe and Latin America. What almost no one asks is where the money comes from today to publish all those costly national and provincial newspapers, organs of the Communist Party, of the Union of Young Communists, or the Central Cuban Workers Union. How were the open forums financed all this time, the militant marches, the whole material base of the “Battle of Ideas”, the campaigns for the rescue of the five combatants of the Interior Ministry, jailed in the United States, the trips abroad, the foreign guests at political events, billboards on highways, t-shirts with slogans, or the little flags. Would it be possible to pay all that with the monthly member contributions to these organizations, which isn’t even enough to pay the salaries of thousands of professional cadres scattered throughout the whole country, in every province, in every municipality, occupying premises that do not pay rent, where water and electricity are consumed, where there are phones and secretaries, gas-guzzling cars that include a chauffeur? Political work involves disbursements, be it from the opposition or the government. If the party in power has at its disposal boxes of public funds to cover expenses and those in the opposition, besides not having even legal recognition, also don’t have, literally, a place to drop dead, what is the recommendation? To let the government do whatever it wants without offering the slightest resistance, or to limit the action only to within earshot, without even a megaphone to amplify it? The only option the members of the opposition on the island have been cornered into, in order to be able to exercise their specific political tendency, is that of accepting financing from whomever offers it, unless they are OK with being a “family faction” without the least echo in society. This is part of the deliberate intention on the part of the government to disallow any alternative of political change in Cuba. This intention stretches from a long series of die-hard slogans (socialism or death, we are ready to shed the last drop of blood, the Island will sink in the sea first…) to the modification of the constitution to enact the immobility of the system. The harder it is to dissent, the better for the government. If the material and legal obstacles aren’t enough, if fear of going to jail is not enough, that’s where the ethical scruples (prejudices?) come in, preventing decent people from accepting funds that automatically turn them into mercenaries of the imperialism. Ideally, the Cuban media should not be the party’s fiefdom, but a public space for all political persuasions; with the state budget partially allocated to fund the work of civil society and of political parties duly registered under the law. If the state, instead of distributing all these funds and resources in an impartial manner, funds that proceed from the working class, monopolizes them only for the favored party, it loses its moral right to ask where the opposition’s money comes from. Additionally, it should not deny anyone the possibility of becoming a disinterested donor or a calculating investor. The state should protect those citizens who have a political proposal, the right to defend it and have it compete publicly and on equal terms, without being forced to sell their souls to the devil. As expected, the birth of the new site 14ymedio.com attracted immediate attacks from the servers of the Cuban regime. A few hours after the media’s first appearance, it was redirected by official cyber-hosts to a dedicated page (oh, the satrapy’s supreme homage! ), not to the disqualification of counterrevolutionary journalistic medium as such, but to its “insignificant” manager, the multi-award-winning — and multi-abominated — Yoani Sánchez-Cordero, evil among the worst. Interestingly, the essence of the invectives against Yoani the terrific is not the legitimacy of exercising the right to free opinion, of creating an information media to and from Cuba, or of the desire that the media become, in addition to a source of diffusion, an enterprise producing income to Yoani and her associates, paying for her collaborators, promoting independent journalism and creating sources of employment. “The chicken in a chicken and rice meal”, as the ever soporific Lázaro Barredo might say, who had been director of the libelous “Granma” for a brief period, but who has currently disappeared from the public scene. It is about questioning what capital this blogger has available to fund such an enterprise, whether or not she deserved the awards she has received, and about the nature of her fabulous emoluments, which, in the imaginary collective of her embittered detractors is close to half a million dollars. 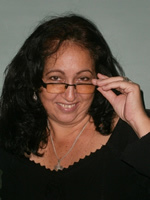 However, what is truly amazing is that there are some petty characters in the internal dissent (and even more conspicuous, characters of “the external”), who have joined the same chant, thus indicating that the perverse nature of the olive green autocrats has soaked into the conscience of Cubans beyond suspected limits, also poisoning a sector of those who call themselves – and indeed are — enemies of the Cuban dictatorship. This virulence has reached such magnitude that it instills pity. How mediocre can an individual be who even feels threatened in the presence of the mere presumption of the success of others? Why must the prosperity or the awards and recognitions received by others be a cause for concern, especially when those “others” not only were and are our fellows in the cause, but at times have opened space and have shared with us their fortunes and misfortunes? What dark Cuban trait deprives us at times of the greatness of rejoicing in the victory of others? In recent days I have been a witness to, not surprisingly, attacks launched on the new newspaper 14ymedio.com from our own “trenches” as if we were their worst enemies. Fortunately, many more words of praise and encouragement have been sent from the most diverse points, than the sour bile generated by the ever resentful. The most poisonous reviews, of course, come from the most mediocre subjects. Some of these consider themselves “journalists”, perhaps in response to some magical genetic inheritance, though not necessarily from qualifications or pedigree, or because they feel they have exclusive rights of “antiquity”. If the latter were true, then we would have to recognize the special rights of the political power of the regime that has been exerting them for over 55 years in Cuba. Also not missing in this sui generis repudiation meeting are certain top dogs inflamed with messianic aspirations, those who always know how, when, and where things should be done, and who cannot conceive, much less tolerate, something that is as healthy as it is helpful for the development of freedom which is simply called competition. There are those who claim that competition, in order to be healthy, must have fair opportunities, which remedies the disastrous (and false) vulgar egalitarianism imposed by the Castros, whose deplorable consequences we know so well. They are clueless, despite living on “information” that such a thing as “equality” does not exist in any part of the world, and that one has to go out and seek the “opportunities”, such as wealth, they have to be conquered, creating them by intellect and efforts, because they do not fall from heaven, like divine grace, on anyone’s shoulders. And when one reaches them, there is absolutely no obligation to share them. In fact, it is morally harmful to do so. These kind of individuals don’t consider talent, hard work, drive, courage, will power or – let’s say it brazenly and give it its due –ambition. For them, from 14ymedio.com, there is “unfair competition”, just because Yoani Sánchez has received funding (oh, what a damn word!) and because she can count on a decent enough comfortable place to work, so she doesn’t need to use the conjugal bed as a sofa. I would consider this an advantage a bit more hygienic than a status symbol, but – of course — I understand that we don’t all think alike. What is true is that, for some of the more stubborn enemies of the Castros, comfort and money (other people’s) are as dirty as for the olive green elite itself. However, many conveniently ignore that they have received (or are receiving) financial help — something that I sincerely admire and hope never runs out — way before 14ymedio, before someone was awarded, and certainly, before the independent Cuban blogosphere was born and developed, otherwise they could not have sustained their newspapers or magazines, a reason for having allowed payment for collaborations for some time now. And congratulations. That’s something, for instance, that the magazine Consenso, and later Contodos (2004-2007), could never do just because they lacked financing, a reason why many of them did not collaborate with that project, since they have always worked for money, as is normal and reasonable, though there have always been romantics that do certain things for free. It is understood that nobody is obligated to do it. So what’s the problem? Why are they wearing themselves thin attacking other independent projects? Isn’t it better that we have the greatest possible number of publications in order to continue penetrating the wall of the regime’s information monopoly? Another practice that the “pure ones” demonize is marketing. They call it “media hype” as if it were something obscene, and they talk about “inflated ego”, “lack of humility” (a special merit that they apparently believe abounds among them). Because, at the height of perfidy, Yoani Sánchez is not settling for creating a newspaper, period, but she aims to “create the best newspaper”, states a critic (or should I say a criticizer?). And the question arises, what harm is there in pursuing perfection? Why shouldn’t anyone wish to reach that goal at a healthy pace, particularly when they work so hard to that end? Personally, as a citizen journalist, I am in the habit of believing that the better I do my job, the more my readers appreciate it, whether or not they are in agreement with my opinions. So, with every effort I undertake, I go beyond, getting close or not to a certain extent, the perfection I aim for, why settle for less? Why should this be a flaw? And, since excessive vanity inevitably leads to the ridiculous, the sorrowful orphans lie or misrepresent reality: 14ymedio.com has never claimed to be the first independent digital medium in Cuba, or declared itself “anti-Castro” (or “anti” anything, but rather, “pro” rights, although it seems that the same is not equal), which is why, from the opposite ends, Yoani is accused of falling into “ambiguities” because there is always some moron who, despite lacking his own projects, feels he has the right to issue guidelines about what the projects of others should and must be. And, finally, to finish off so much Castro-socialist drivel, designed for those masterfully defined as “perfect Latin-American idiots” by three academics a lot wiser than I am, let’s leave, once and for all, the eternal posture of the mentally herniated poor little victims, who will have to be fed and subsidized forever. Neither Yoani Sánchez nor 14ymedio.com, nor absolutely anyone else, other than the same individuals, are responsible for their own lack of success or of “financiers” to overcome their woes. The formula for prosperity, dear idiots of this island village, is not to wait for generous patrons to appear, but to have something to offer. You should not have to sit down and wait for some bored mogul to want to “do justice” and throw you a financial bone. Perhaps the wailing crew of the day should use the energy they employ in lamentations to work more efficiently and creatively. Incidentally, it would not be a bad idea for them to get up to date with the present. Don’t feel put out, none of that! These are only a few suggestions. That said, be adventurous, take risks. I am referring, in particular, to financial and professional risks, so don’t come back again with the morsel that this one or that one was taken prisoner, or that they take their lives into their own hands “on the street”, because that is a risk that all of we Cubans take, from the daredevil who establishes a political party or who writes independently to the poor devil who steals three pounds of meat from a warehouse. This is another one of our best entrenched myths. In Cuba, jail does not depend on anybody’s merits, but on the whim of the satrapy. And if someone chooses to be personally offended by this post, know that I can’t be bothered with such tackle, but I respect all your conscious choices. If I have not mentioned names, is not to evade confrontation, but because I will not give them a single hit or a smidgen of brain cells, to a debate that, in addition, would be useless. We know that some people are hopeless. Time is usually a wise judge. Also know that making enemies does not move me, but false expectations are not believable: I pick my enemies. I don’t know if the recipients of this post are at the height of the conflict or in the process of getting there. At any rate, I wish you much success. In recent months entries in Sin_EVAsión have been sparse. I beg the readers to excuse my absences from this blog. Contrary to what may seem, such “gaps” are due to the increase in volume of my work. As you know, though this blog was not exactly the digital place where I started as a citizen journalist, it did contribute significantly to the dissemination of my work. It opened several possibilities for publication elsewhere, in which articles I wrote regularly appear. Recently I also began to work with the new newspaper 14ymedio, an opportunity I could not pass up and a space where I will continue to work with opinion work, analysis, or reporting. In the blogger platform of that medium, my son, Victor Ariel and I have also started a collective blog. The title of this new blog is “A Pie y Descalzos” (On Foot and Barefoot), which aims to provide an overview of Cuba “from a viewpoint at ground level” i.e., from the common people. As a result, I’m often overwhelmed with work, which consumes my time and energy, affecting updates to this site. I also have to ensure my regular income, because one cannot live by just romance and good intentions. If, however, in previous years I wrote for Sin_EVAsión almost exclusively, for some time I have had the opportunity to make some money writing for other media publications, so I am doing that. I am not the New Man, so my critics may vent their fury on this note and with a statement I make without a hint of pretense (as is my style): I love the money I get from the fruits of my labor and with my limited talents; I owe it to nobody, and I don’t intend to be embarrassed by it. To hell with the parasites and the envious ones. As an addendum, I will say I don’t get remittances, which fills me with satisfaction. As for my friends I know they don’t need any explanations, but my respect and affection, so I address this note to them as well, to let them know that I’m still with them. However, Sin_EVAsión will continue as my personal platform, the most intimate and beloved, the space of my own individual “me”. If my work has been of any value in this site, I owe it to my readers. Thanks for following, and don’t leave me. I won’t leave you either.